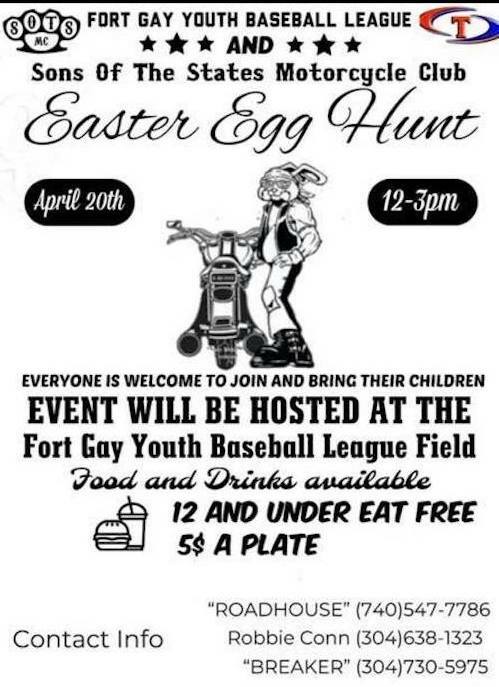 The Tolsia Youth Baseball and Softball League will be teaming up with local motorcycle club ‘Sons of the States’, along with Mayor Joetta Hatfield and the Town of Fort Gay to host an Easter egg hunt and cookout for the entire community and surrounding areas on Saturday, April 20th from 12:00-3:00p.m. It will be held at the youth league baseball field. The event is a fundraiser for the league to help with improvements that are needed to the fields. There will be prizes given away for the kids along with candy and baskets. Food will include hamburgers, hot dogs, baked beans, chips and more. Refreshments will include pop, water, and juices for the kids. 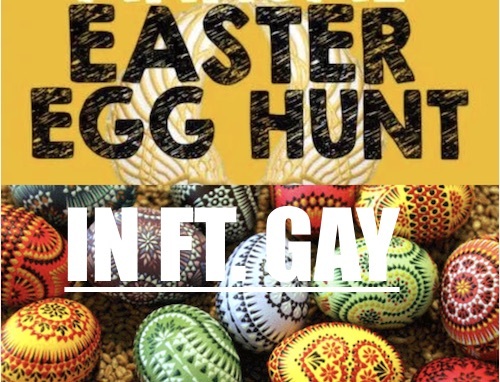 The egg hunt will be for ages 12 and under. The only rules they ask that everyone follow are absolutely no alcohol, drugs, profanity, or fighting. “We want this to be a safe day full of fun for everyone,” Fyffe noted.